Rejinpaul.com Provides a clear and special Guidance for all 12th Students . Rejnpaul Team Provides last 10 year 12th Question Papers ( previous year Question Papers). This time our team has taken a keen effort to provide more study materials in order to help the Students. So we have covered the maximum and we are sure that we will instantly update more study materials for 12th Public Exams. Select the Subject you want from the listed below. Rejinpual.com provides an initiative update in respect to the HSC 12th Exam Schedule. Students can get their Timetable clearly in .Doc Format/PDF Format even through SMS (soon we will intimate) to your personal number as soon as Board Declares the Tamil nadu 12th Timetable. You can also check your timetable online and take print out of the exam schedule using below link. Rejinpual.com provides an initiative update in respect to the HSC 12th Results. Students can get their Results as soon as results is declared. Rejinpaul Team declares the Even through SMS (soon we will intimate) to your personal number as soon as Board Declares the Tamil Nadu 12th Timetable. You can check online and take print out of the Results using below link. Rejinpual.com publish the name list of the students who are Toppers in Subject wise and District wise and honors all the students with their pics. 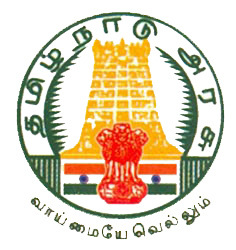 Students can check the Tamil Nadu 12th toppers list here as soon as result is published. Use Following keywords to get your Materials easily at single try.